After the recent cold snap, the weather returned this week to a mild theme and encouraged me out into the garden. As I climbed the steps to the upper garden, my ‘peripherals’ caught a movement in our well. The well sits in a cobbled courtyard and appears to be fed by local groundwater, and with over a foot of rain in recent weeks has got very full. Since we moved into our new home this summer I have frequently peered into the dark depths of the well, never expecting and never seeing any obvious life in the crystal clear water. I was therefore curious about the water movement – had an animal fallen in and was struggling to get free? 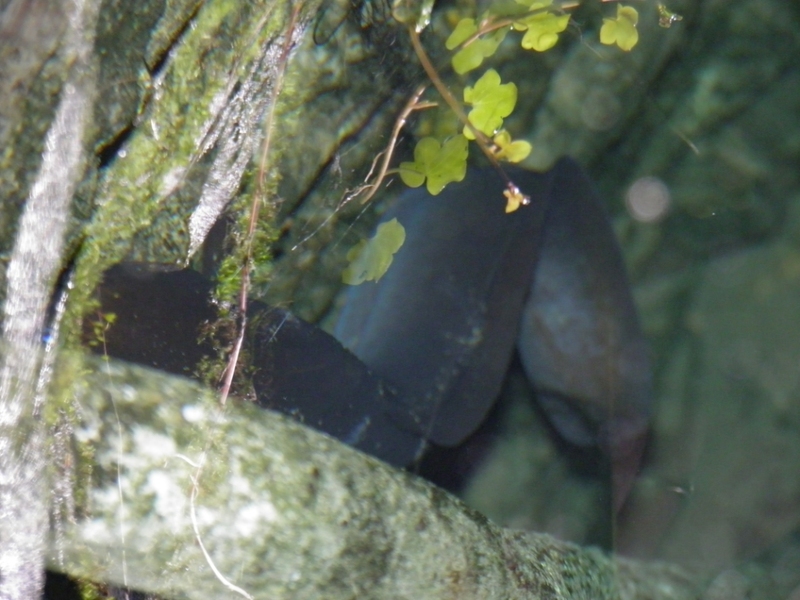 At first glance I could not see anything, but as my eyes grew accustomed to the grey gloom I noticed a fishy tail poking out from the side wall. After a few minutes the tail moved gently and a head appeared, followed by the long slender body of an unmistakeable Eel (Anguilla anguilla), at least one and a half feet long (see images – not an easy photograph to take). Gracefully it swam around the well, appearing to search for an escape from its surprise prison until it disappeared through a fissure, not to be seen again and to where underground I can only puzzle. The questions this observation poses are as deep and dark as the well. 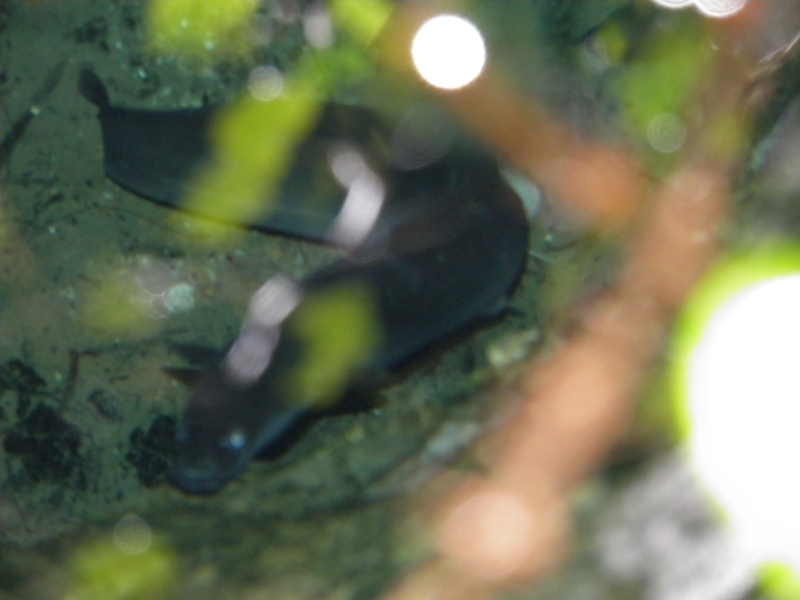 This mysterious fish will have started its incredible life far away in the Sargasso Sea (van Ginneken & Maes, 2006). This is “the earth's only sea without a land boundary”, defined instead by biological characteristics and oceanic conditions to determine its location and extent within the North Atlantic sub-tropical “gyre”, and so named after the abundant presence of Sargassum, a “brown drift algae” (Sargasso Sea Alliance, 2011). It is within this unique ecosystem that the young eel larvae feed, develop and drift using the inherent currents, such as the Gulf Stream to migrate the huge distances to freshwater European and North African rivers. Unusually for fish they can travel over land if necessary, and perhaps it is this ability to move out of the confines of purely aquatic environments enabled it to find its way via groundwater channels into our well. Living for up to 30 years, you can only wonder at the adventures such a creature can have, but I am glad that one of them resulted in it appearing in our garden well - I can only hope that it is able to fulfil its destiny and return eventually to breed in the Sargasso Sea and bring its life full circle. On behalf of Granny, she said: "What a most profound and extraordinary occurrence!". Merry Christmas Uncle Nick and Family! Jack, C, H, J &J; B &| L and G & G!